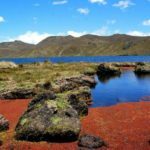 On this 3-day Condor Trek you will hike the Antisana Ecological Reserve alongside Fernando, an ASEGIUM certified mountain guide. The complete Condor Trek is a 5-day, 4-night hike that National Geographic Adventure listed in its 2014 Adventure Bucket List. I invite you to join me on a shortened version of this trek. 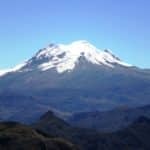 My 3-day Condor Trek starts at the Cayambe-Coca National Park and finishes at the beautiful Antisana Ecological Reserve. 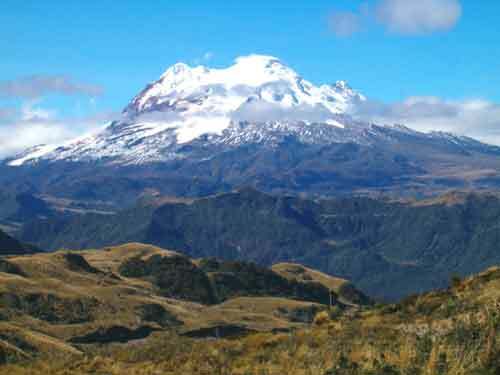 Along the way, you will have the chance to see several of Ecuador’s natural destinations. The Condor Trek is named for Ecuador’s prized Andean Condor. The huge bird has a wingspan of up to 3 meters. 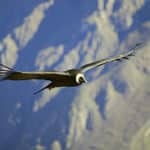 During our Condor Trek, you will probably have the chance to see this incredible bird in the wild. The trek is in a biodiversity hotspot. 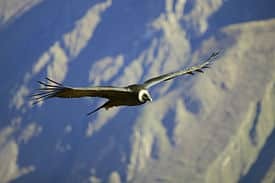 So, the Andean Condor is just one example of the unique flora and fauna that we will see on the route. The 3-day trek also takes us to several special natural areas. 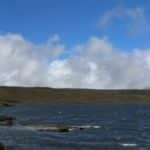 On the first night we will camp near a nice lake called “Laguna del Volcán.” The next day, we will hike from the wet area, passing through rivers and small forests, to higher and drier plateaus. 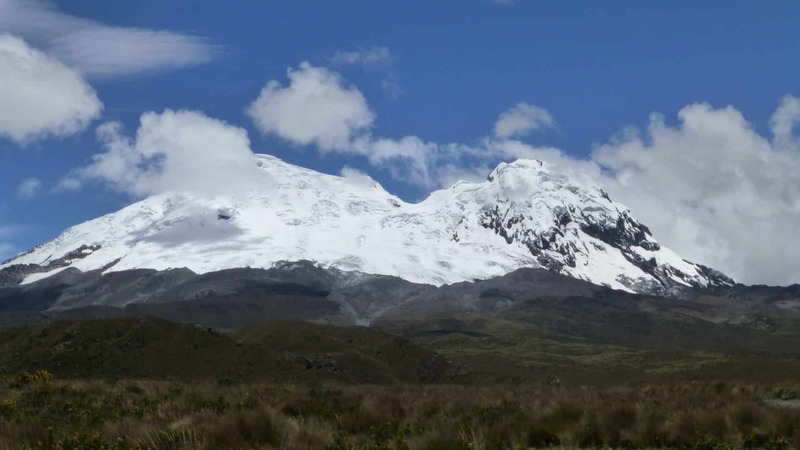 Subsequently, we will arrive at a spot where we can view the magnificent Antisana Glacier. 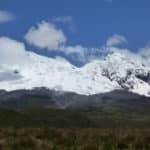 The Antisana Volcano is completely covered in snow and glaciers, which makes it one of Ecuador’s most beautiful yet most dangerous mountains. On the last day, the trek goes through the base of Antisana. We will hike to reach the Mica Lagoon, which has a great view and beautiful scenery. From here we will be able to observe deer, llamas, and condor and other birds. The 3-day Condor Trek is an incredible hiking opportunity. We get to experience many of Ecuador’s national treasures and in the most natural way- hiking surrounded by nature. You won’t want to miss this trek. If this trip description inspires you, contact me today. 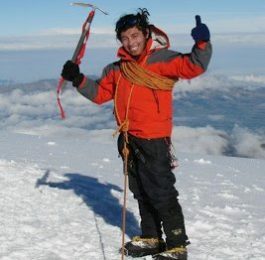 I also lead a 2-day climb of Antisana. Please note that lunch and dinner in hotels are not included. Personal equipment is not provided. Insurance is not included. 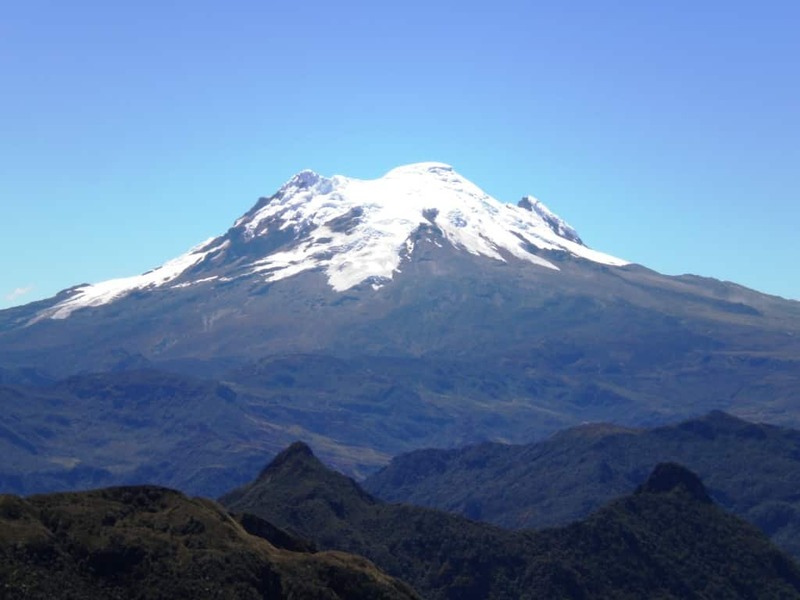 We will leave Quito in the morning and drive east to El Tambo Village (3400 m). There we will meet our packhorses. We will load our equipment onto the horses and start hiking on the trail. Most of the time we will be hiking it will be very muddy. We will also be crossing streams and rivers. Because of this, rubber boots are necessary equipment. After 4-5 hours, we will arrive at our first campsite. The campsite is located next to the “Laguna del Volcan” lake. We will spent the night in tents. After eating breakfast, we will continue hiking for about 3 hours through wet areas and small forests until we reach plateaus higher above. We will start to be able to see the huge Antisana glacier and Santa Lucia Lake. We will hike for another 3 hours until we arrive at our second camp in a sheltered valley. We will sleep in tents. The third day starts early. 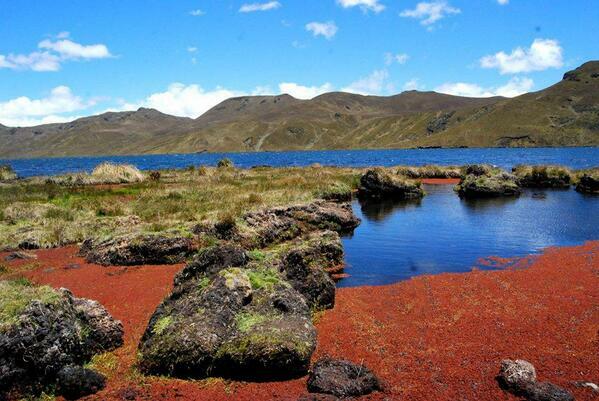 We will hike through the base of Antisana and then take a moderate climb to the Mica Lagoon. This part of the trek will take us between 6 and 7 hours, and is the best chance on the trek to see deer, llamas, and condor. That evening, after enjoying all the views and beautiful scenery, the car will be ready to take us back to Quito. Hiking - 4 days - Interm.